I attended the funeral of a good friend last night. 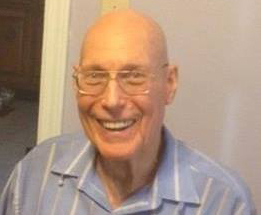 Leighton, at the age of 82, was one of the happiest and most at peace guys I had ever met. He had a way of saying things that made you laugh, and of relating deep truths about life in a lighthearted way that anyone could understand. He was one of those guys who is always in a great mood and had a smile on his face, no matter what. 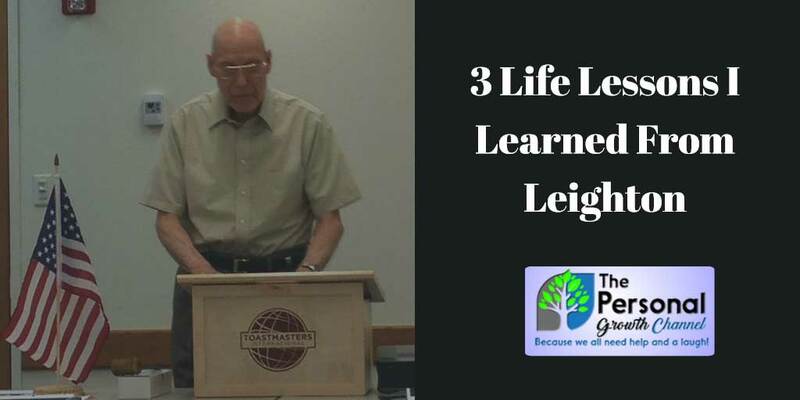 I thought you might appreciate some life lessons that I learned from my time with Leighton, and I am sure he would have wanted me to share these with you as well. Enjoy! I learned from Leighton's daughter during the funeral service that his favorite Bible verse came from Matthew Chapter 22 when Jesus was replying to a question from one of the Pharisees. One of them, an expert in the law, tested him with this question: "Teacher, which is the greatest commandment in the Law?" Jesus replied: "'Love the Lord your God with all your heart and with all your soul and with all your mind.' This is the first and greatest commandment. And the second is like it: ‘Love your neighbor as yourself.’ All the Law and the Prophets hang on these two commandments." Leighton was fond of telling his daughters not to complicate their life or the Bible. "All you need to do is love each other and love God. If your heart is in the right place, everything else will fall into place. That's all there is to it!" Leighton lived these ideals, he seemed to love everyone he met. Leighton and I met at a local Toastmasters club, and a comment that a fellow Toastmaster made the other day is still ringing in my ears. "It seemed like Leighton's frown muscles were broken!" People want to be around those who appear to be in a good mood, and everyone wanted to be around Leighton. Even on days where he was having difficulty standing, he always wore a smile and complimented everyone, and I believe he was genuinely happy. Many people don't realize that being in a good mood is a choice, you can train yourself to do this. Psychologists have repeatedly demonstrated that physically putting a smile on your face and saying positive things can impact how you think about the world. The final thing I learned from Leighton was to enjoy each day as it comes. The last table topics question I asked Leighton was if there were any particular sunsets or sunrises that he really enjoyed. His answer was telling of how he looked at the world. "I enjoyed every sunset and sunrise. What this question reminds me is that I need make sure and see another one tonight." I enjoyed every sunset and sunrise. What this question reminds me is that I need to make sure and see another one tonight. Leighton knew how to take each day and appreciate it. He never seemed to get caught up in worrying about things he couldn't change from the past, or worrying too much about what the future held. He instead enjoyed the moment. Enjoy the moment. Yesterday is gone, and tomorrow is not promised. There is only today. I know that Leighton would appreciate his life affecting a few more people. If you've enjoyed this article or taken anything away, please share so that others can enjoy as well!